Nevada representative and U.S. Senate candidate Jacky Rosen is one of several Democrats trying to demonize Trump Supreme Court nominee Brett Kavanaugh. Rosen is particularly concerned by one of Kavanaugh's 2013 court opinions while serving on the U.S. Court of Appeals for the District of Columbia Circuit, she explained last week. In the case, he ruled in favor of building a national nuclear waste repository at Yucca Mountain. Orrin Johnson, a deputy district attorney and contributor for the Nevada Independent, wrote a piece over the weekend requesting that Rosen go back and do her judicial homework. Until then, "she is not qualified to provide 'advice and consent' to presidents on their judicial nominees." Clearly, Rep. Rosen didn’t actually read what Judge Kavanaugh wrote. If she did, she didn’t understand it. Or even worse – she actually has no idea what judges actually do, or she lacks the most basic understanding of the proper role of federal appellate courts in a constitutional republic. Johnson goes on to explain that in the case in question, various municipalities and private parties, "concerned about their local short-term nuclear waste storage facilities," sued and asked the courts to order the Nuclear Regulatory Commission to get on with the licensing application process for Yucca after years of "illegal stalling." Rosen is one of those "political partisans openly demanding that various government officials ignore the law," Johnson suggested. 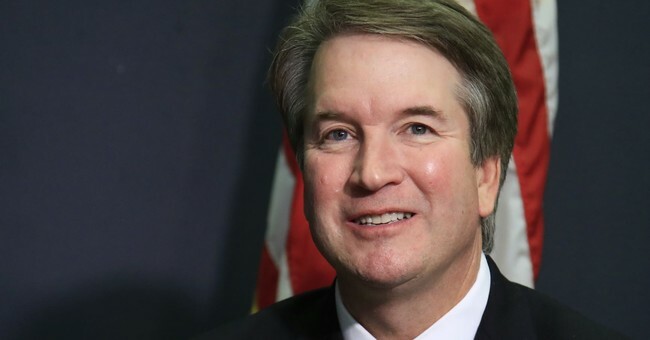 In addition to the Yucca ruling, some Democrats are using Kavanaugh's judicial record to prove the judge believes presidents should be above the law. Guy put a wrench in that theory here. Other liberal lawmakers seemed to not even bother to do research and simply refused to give Kavanaugh a chance as soon as they heard his name on President Trump's lips.